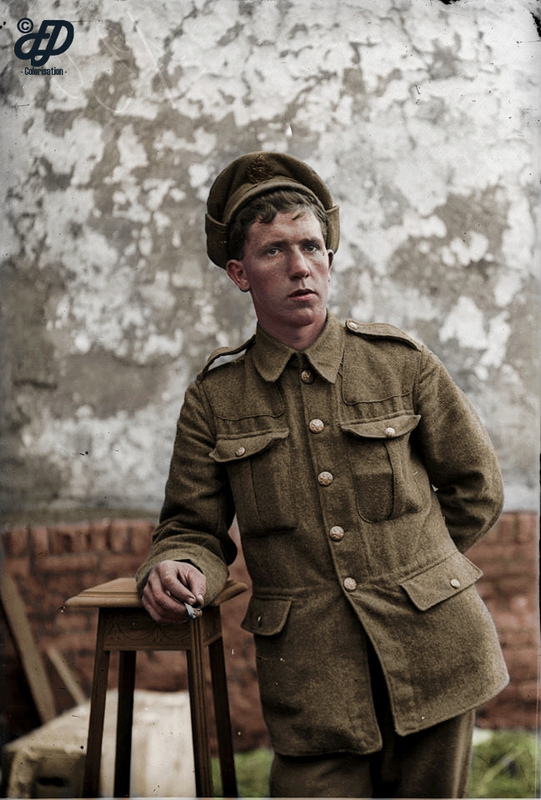 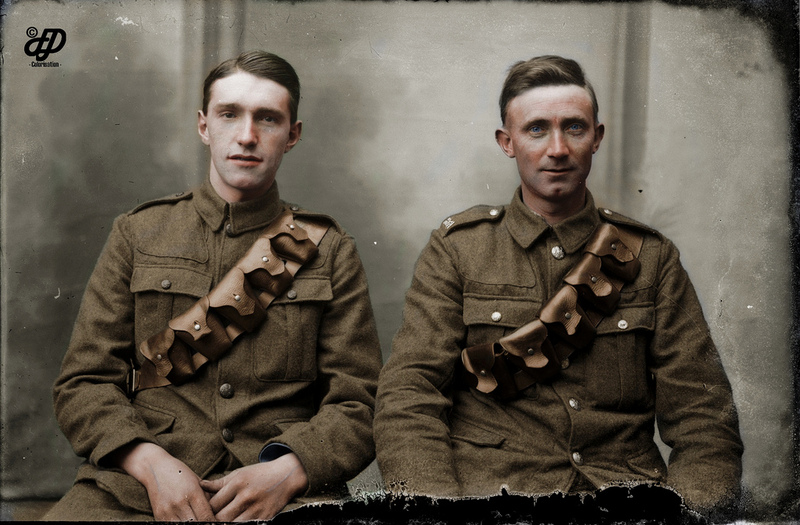 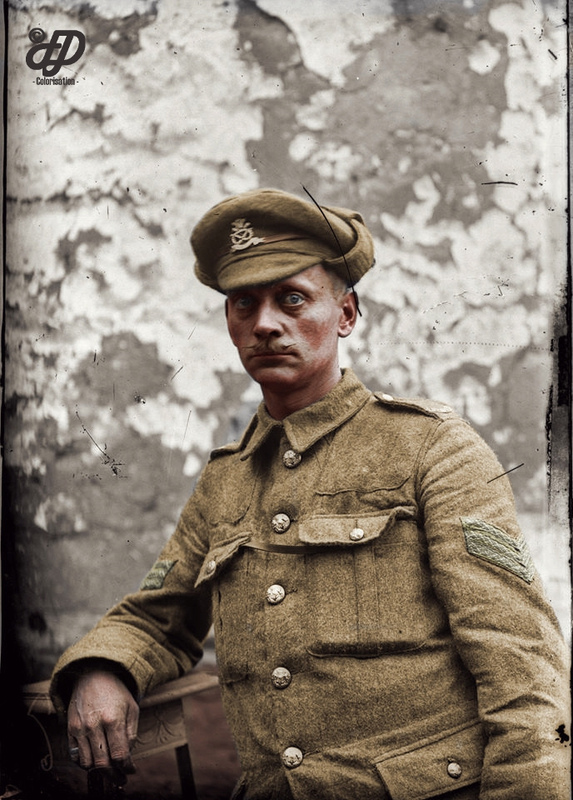 Breathtaking images of the unknown British Tommies who fought against the Germans in the Battle of the Somme. 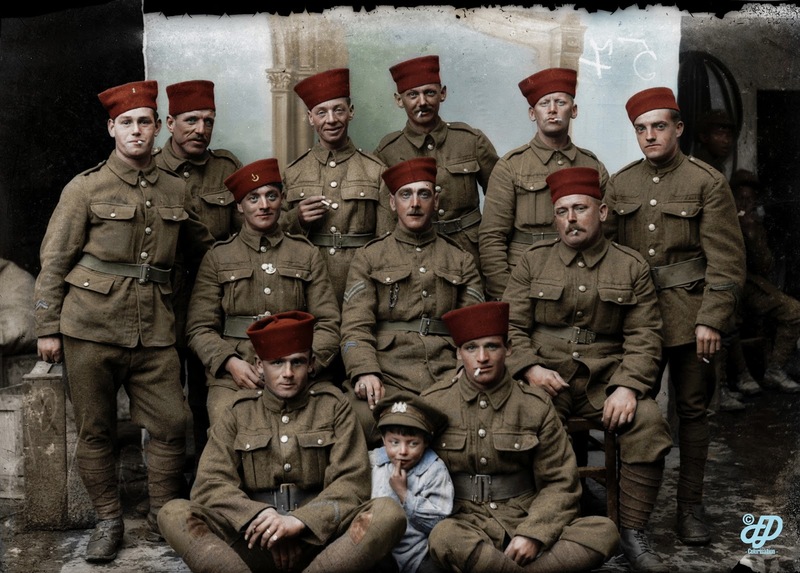 The brave soldiers have been brought to life in striking color on the 101st anniversary of the bloody conflict. 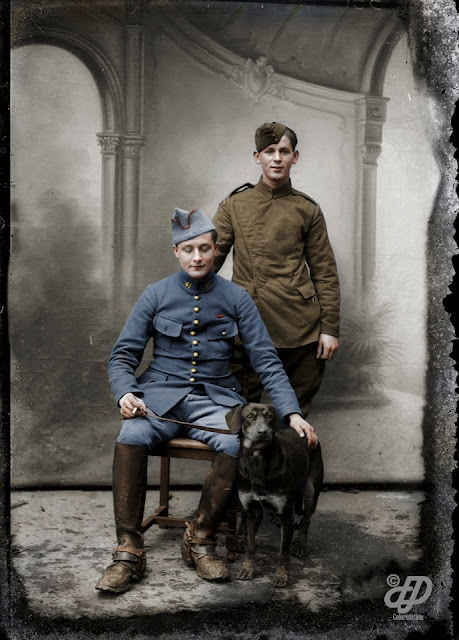 The images were taken by French couple Louis and Antoinette Thuilliers as mementos to send home before the soldiers went to fight and die in battle. 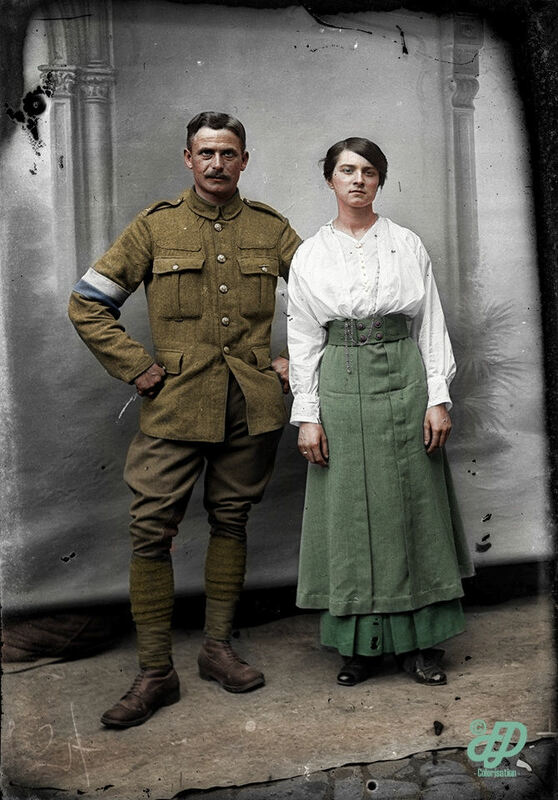 They were lost in a farmhouse attic for decades before they were rediscovered by Australian television network, Channel Seven. 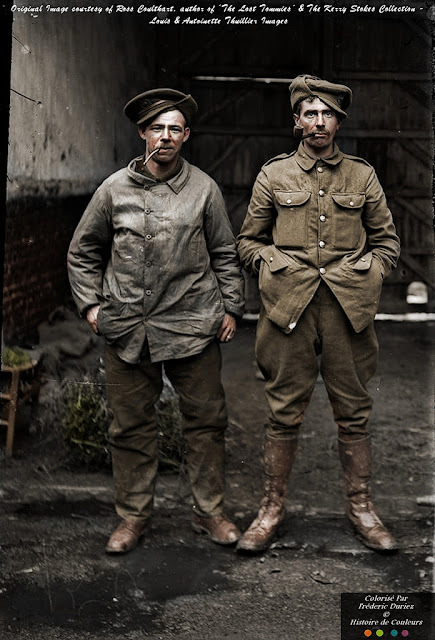 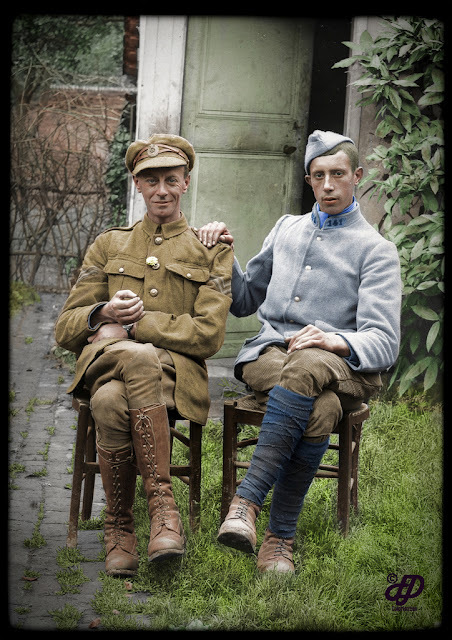 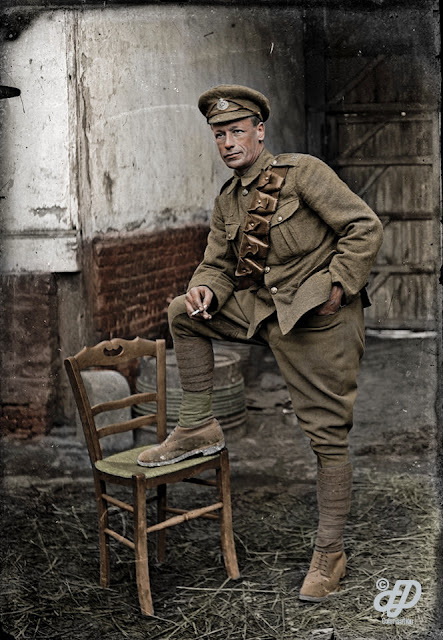 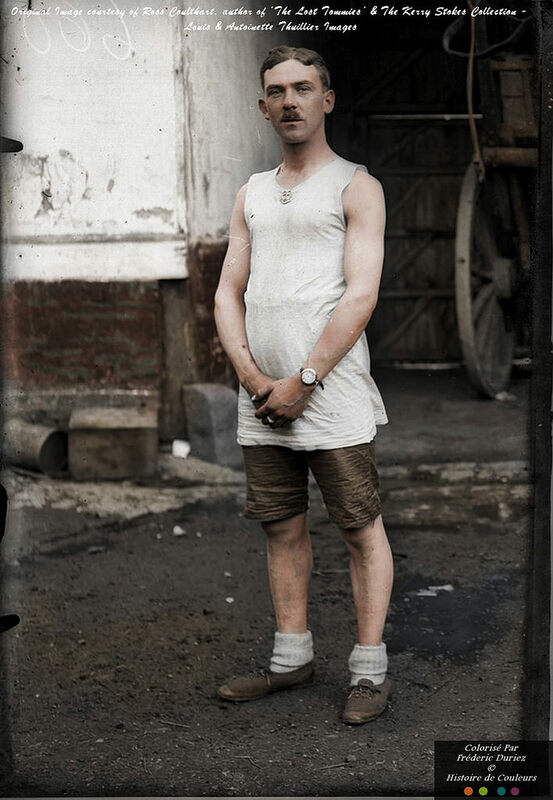 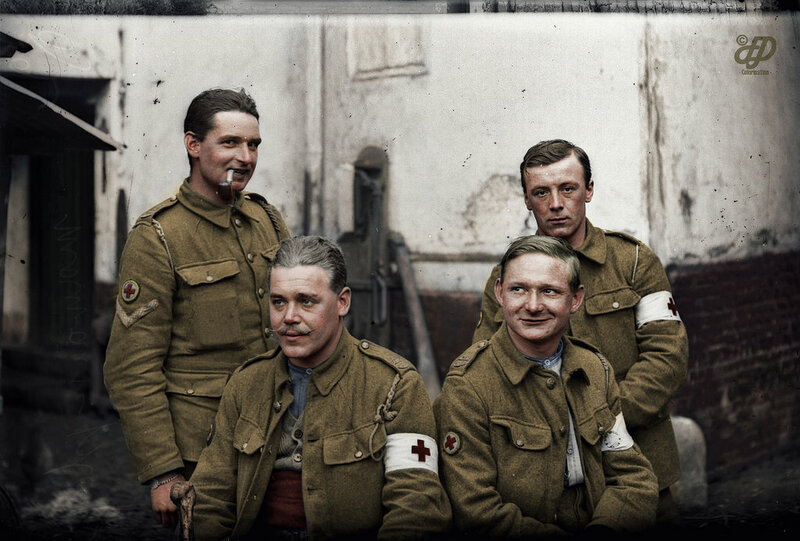 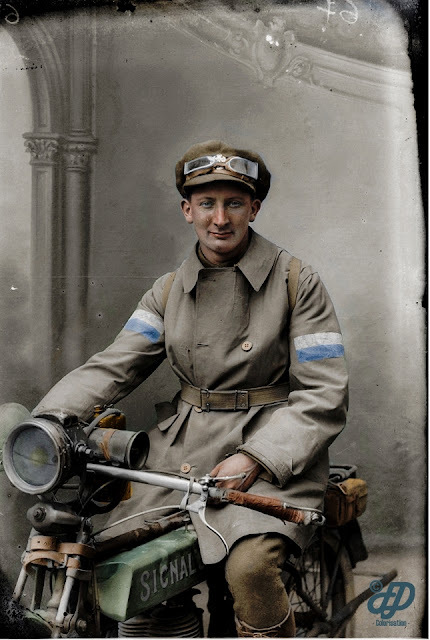 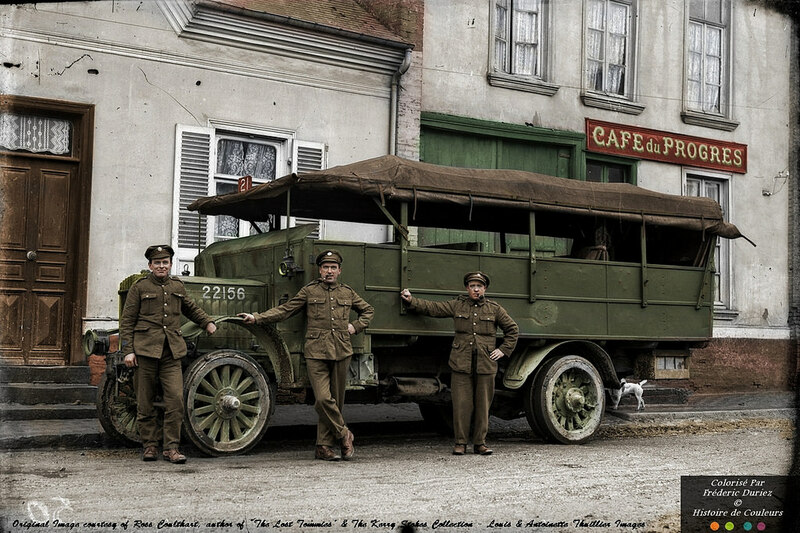 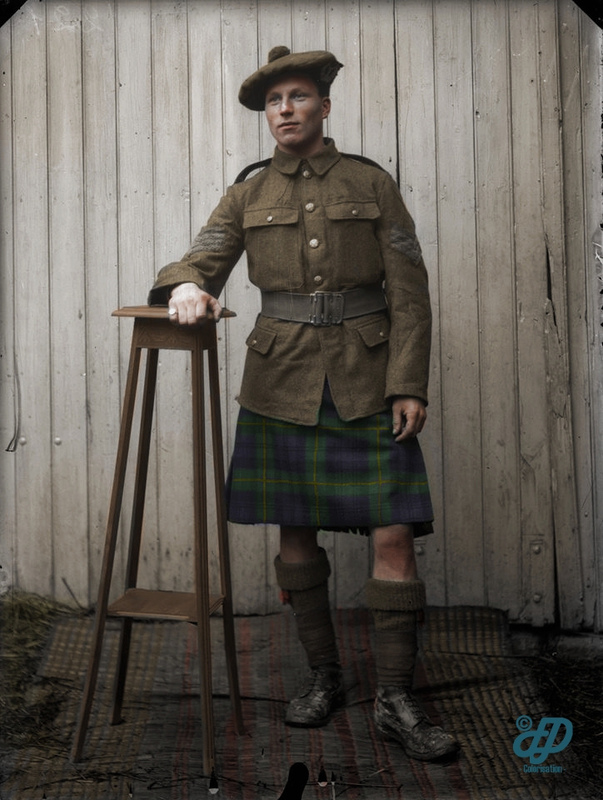 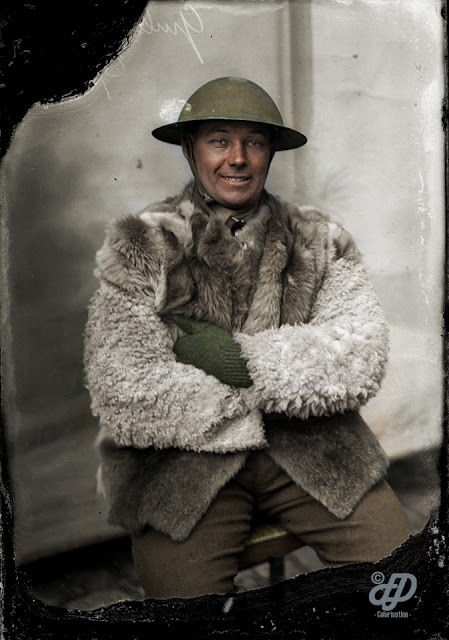 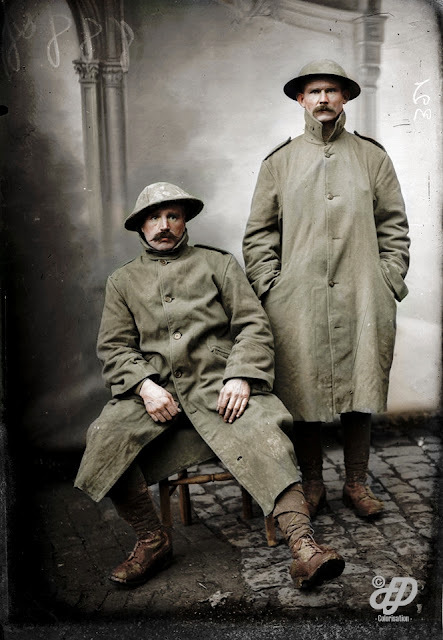 The WWI photographs were expertly colorized by French bank technician, Frederic Duriez. 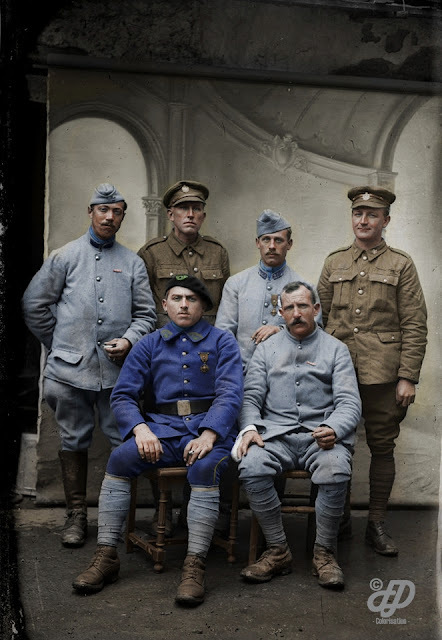 “All of these soldiers are traumatized and their looks express the terror and horror of war and fighting,” said Frédéric. 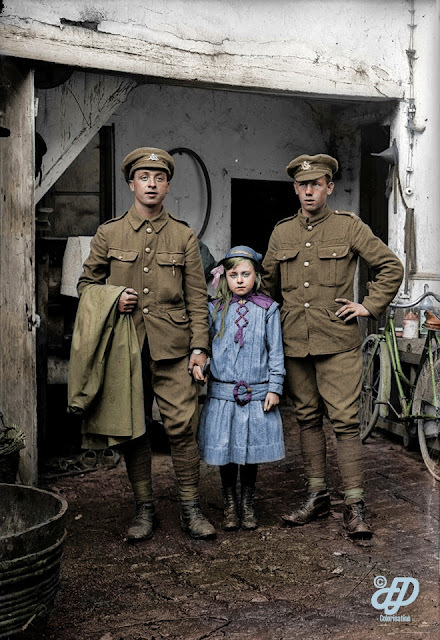 “I live near Vignacourt, about sixty kilometers away and there is an English cemetery in my region so, I wanted to praise their courage and loyalty and I visited the farm and the village a short time ago.